It's like a really great Smoothie! Throw a little summer camp, some mission trip, a bit of fun, and some raspberries in the blender and you've got a taste of SMC! It's an opportunity for youth to get out of their normal environment to serve, to grow in their faith, to experience something new, and so much more. An opportunity for several youth groups to come together for a week of camp & service that changes lives! It's, according to many who have gone before, one of the "best weeks of my summer." Who can go on SMC-Camp? Any Middle or High School youth (completed 6-12 grades by time of trip). And their Youth Leaders of course! What is SMC Lead Camp & Who is it for? SMC Lead is our newest event, designed to help High School youth identify and explore their Leadership gifts & potential. SMC Lead will make its debut Summer 2019. What if I'm not sure what I'm doing that week yet? Well, if you’ve looked at the family calendar and it’s currently open, go ahead and jot down “SMC” and then you know what you’re doing that week. Next, contact your Youth Leader and get registered! A full packing list with all the things you should bring and NOT bring is available HERE! What if my kid does bring their cell phone? Yes, the rumor is true, we do NOT allow youth to bring/have their phone at SMC. There are several reasons for this (risk of loss or damage, youth are not fully present for SMC, etc.) Bottom line, we want every youth to experience SMC without the distractions that they are bombarded with every other day of the year. We ask parents/guardians to make sure phones stay home. If, for some reason one slips through, the leaders will confiscate the phone and it will be returned at the end of SMC. In the event of an emergency at SMC - we will make sure that you are notified as soon as possible. (Your Youth Leader/Church will likely require a Medical Release Form with information about your youth in the event they need medical attention). In the event of an emergency back home - you will have numbers to contact provided before SMC departure. We will make sure any emergency messages are relayed to your youth. Costs vary depending on what time you register. SMC - Camp costs may vary based on what your Youth Leader has setup. Please speak to your Leader to find specific costs. SMC - Lead Camp costs $475/youth. It actually costs us more to put on this event, but our team will work hard during the year to find gracious sponsors & donors who want to invest in youth to subsidize the costs. We are all aware that trips like this are expensive - but know that our costs are in line with or in some cases actually cheaper than a lot of other camps/trips available for youth today. If cost is prohibitive we encourage you to visit with your Youth Leader - most will be happy to work out something in order that your youth can attend. Most meals (usually we ask everyone to pack a sack lunch or bring some cash for the bus ride out), lodging, supplies, t-shirt, round trip transportation from Lincoln, a blast in the mountains!  The trip is hosted, led, planned, etc., by those at The Co-Op 513 (this is our site, go ahead check us out). Some of our Team will be working throughout the year on all the behind-the-scenes details & on-site during SMC. Your Youth Pastor/Leader(s) who are present on the trip. Can I drop my youth off late, or pick them up early? This is ultimately between you and your Youth Pastor/Leader. However, we strongly discourage it. A youth arriving late means they've missed out on the initial bonding that typically happens between the youth on these trips - especially when multiple churches are attending. A youth leaving early means they will miss out on how everything comes together at the end of our week together. Either way, outside of emergencies we hope that every youth on SMC can experience the entire trip! What if my youth mis-behaves? We've worked in youth ministry for years, and know that all youth occasionally 'act out'. But, we have faith that we'll all get along just fine during SMC. In the unlikely event that any issues/mis-behaviors cannot be corrected, Youth Leaders will contact the Parent/Guardian to discuss options. Please talk more with your Youth Leader if you have specific concerns. Do you require Background Checks for Leaders? All adults on SMC will be required to have passed a current Background Check by the church group sending them. Co-Op will verify with the Lead Youth Leader &/or Pastor that all those going from their church have been background checked, and passed said background check within the year prior to SMC. We take the safety of all youth very serious! What types of work projects will you do? Based on past years trips we expect to have some projects that are physically demanding and labor intensive, some that may involve direct contact with homeless or those benefiting from our service. Some projects will seem pointless in the eyes of a youth - but trust us based on our experience we strive for every project to be beneficial to the person(s)/organizations we serve. Regardless of the projects God has planned we're confident we'll have a great time serving together! What are the Policies of SMC?